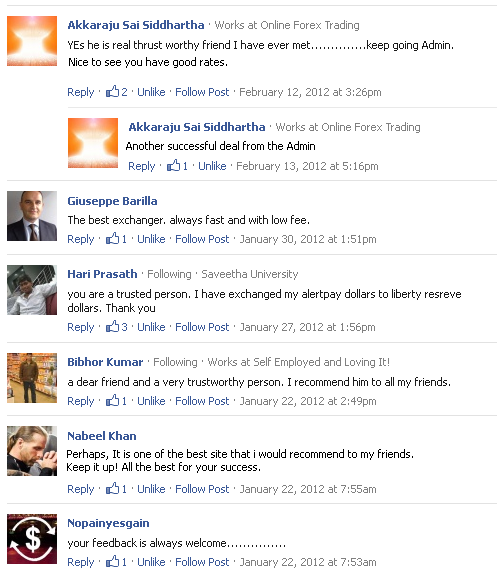 Welcome to Nopainyesgain.info's Exchange service. 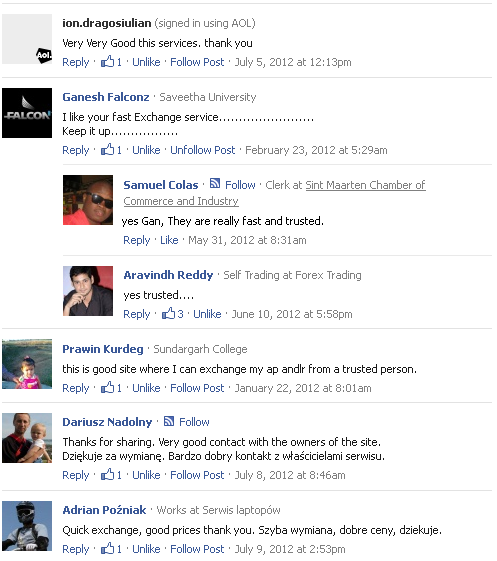 We are doing e-currency Exchange Service since June 2009. We are dealing with Payza (PZ), Solid Trust Pay (STP), Skrill, Perfect Money (PM), Bitcoin (BTC), Webmoney (WM), Payeer (PE) & Neteller (NT). 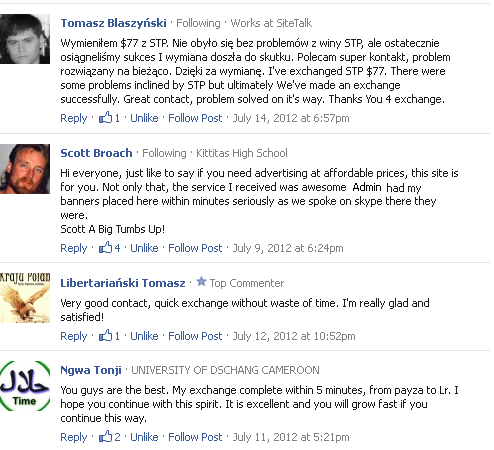 You can Buy/Sell your above mentioned e-currencies at the best rate. Note:- Above mentioned Rates are in Indian Rupee (INR). Rates given above are indicative only and Final rates will be quoted via email to every order. All orders are processed within 24 hours time period from Monday to Saturday. Note for Buyers:- If there is any Internal fee charged by the e-currency, you will be paying it. Note for sellers:- The Amount which we send to your Bank account is calculated only from the Dollar which we receive after deducing the Internal fee of the e-currencies. It is always recommended to verify your e-currency accounts before exchanging. I like the service provided by Admin. Unbelievable Support. Thanks you, I received my funds. I would recommend your Service to my friends. Very good contact, quick exchange without waste of time. I'm really glad and satisfied! You guys are the best. 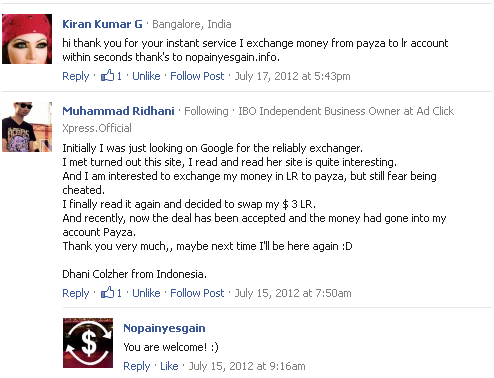 My exchange complete within 5 minutes, from payza to Lr. I hope you continue with this spirit. It is excellent and you will grow fast if you continue this way. This is the best exchanger....within 4 hours of my payment my money got exchanged...Wow!